Below is a pictorial view of three generations of the Braunhart family descending from Lewin Jacob Braunhart. 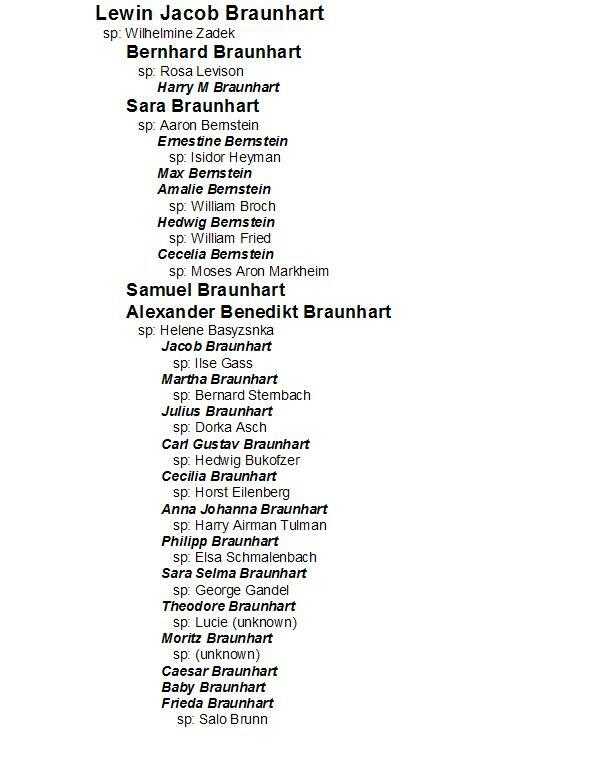 It is intended for readers to "keep the names straight" for the Braunhart family. Currently there are 2 unknown spouse names. Dates and locations have been deliberately removed - however this information is available by contacting the publisher.